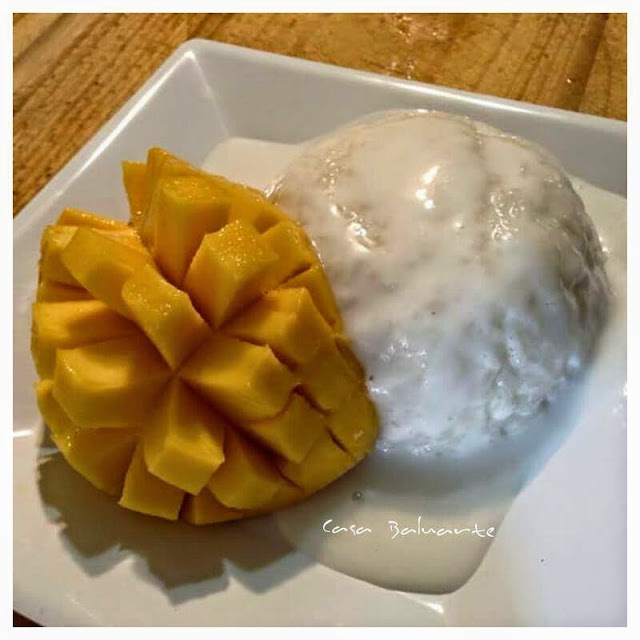 Sweetened coconut milk flavored sticky rice served with fresh ripe mango. Rinse sticky rice and cook in medium low heat. Once the rice starts to boil reduce the heat to low. Keep stirring to avoid the rice from sticking in the pot. Once the rice is fully cook, remove from heat and set aside. In a sauce pan mix coconut milk, sugar and salt. Stir well and bring to boil in medium low heat. Once it starts to boil lower the heat to the lowest and continue to simmer for 5 minutes. Place the hot sticky rice on a serving dish. Top the rice with the coconut mixture at serving time. 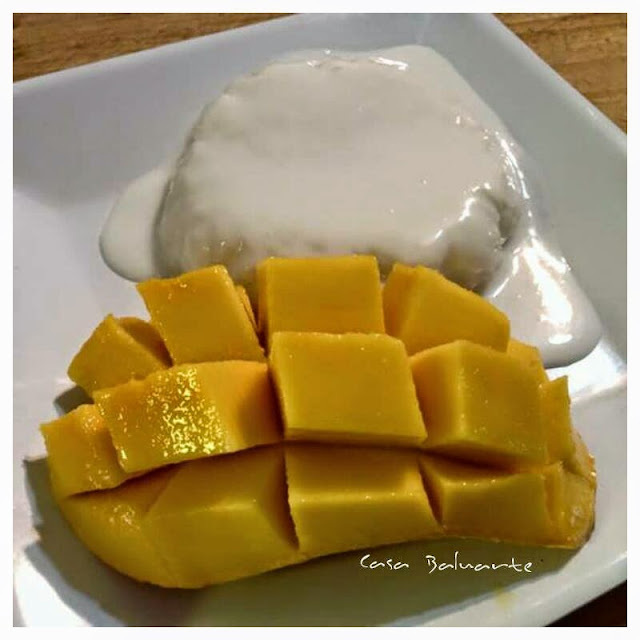 Serve with slices of ripe mango.